without a single dissatisfied client! 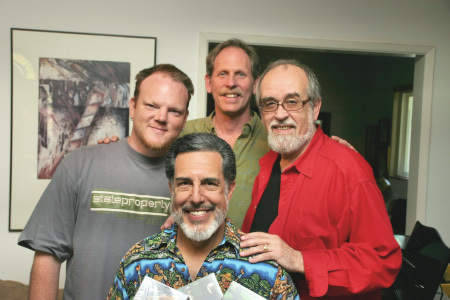 Dan Lutz (b), Bruce Forman (g) and Roger Kellaway (p) lean on Drew Daniels for recording. delivering up to 1000 watts to the loudspeaker pair. 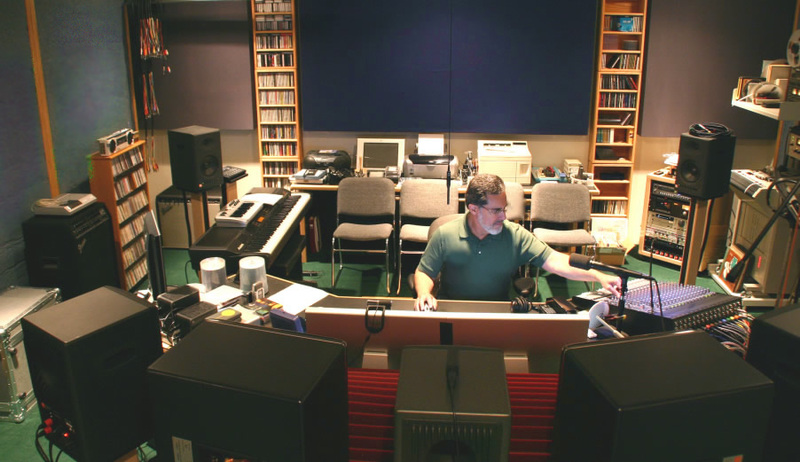 WHY DO YOU NEED A PROFESSIONAL RECORDING ENGINEER ? Typically an order of magnitude better than most commercial studios. The studio monitor - the last link in the audio chain - IS SINGULARLY CRITICAL AS THE BENCHMARK AND ULTIMATE LABORATORY STANDARD. 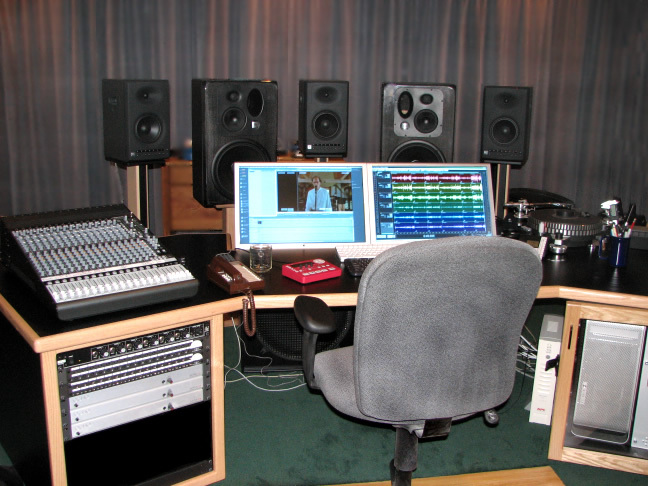 If the studio monitor is not accurate, nothing else done in the studio can be confidently known. 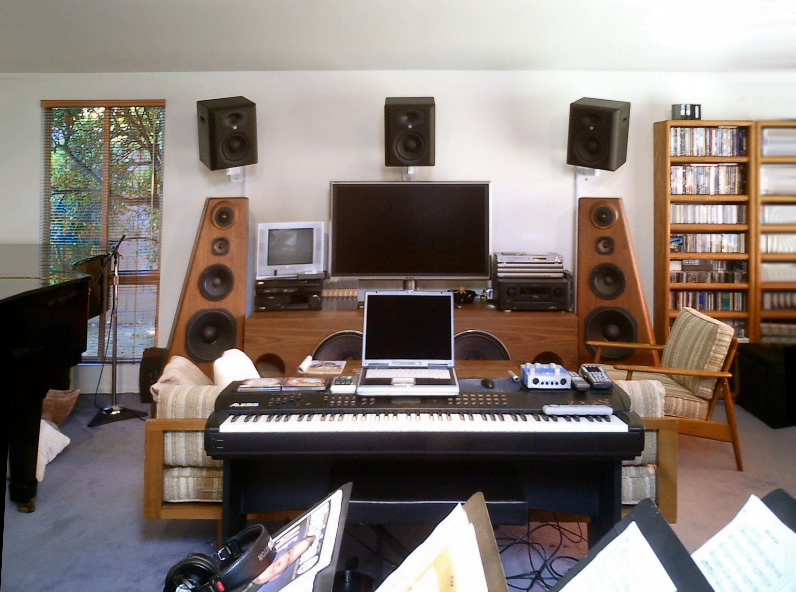 While some may stubbornly argue that the only loudspeakers that matter are the ones they end up listening to, few would be willing to mix and master their work inside their automobiles, and more to the point, which of the thousands of non-accurate loudspeakers one might select as the standard, should rightfully occupy the limited space of the control room and be used to judge the subtleties of a recorded project? The Sigtech AEC flattens frequency response using 2470 F.I.R. filter poles on each channel. 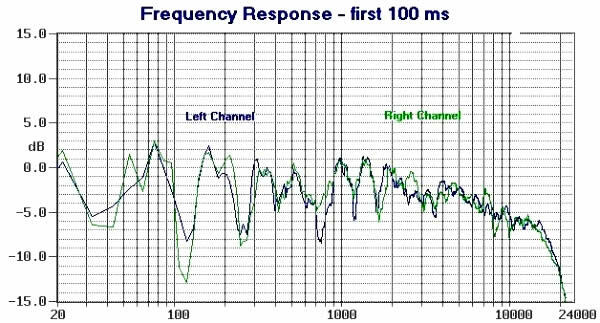 Because the AEC does its adaptive filtering in the time domain before transform to the frequency domain, it removes phase shift commonly associated with IIR and other types of filtering. 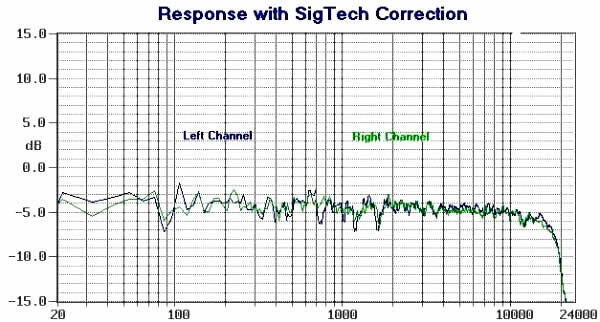 Since the Sigtech AEC makes virtually any linearly operating loudspeaker as flat and uniform and completely phase coherent as it can possibly be, it is safe to say that no monitoring system anywhere can provide better performance as the critical benchmark of an audio recording system. On the advice and with the on-site blessing of noted audio author and Chief Engineer of Delos Records, John Eargle, we've upgraded our virtually perfect monitoring system with the addition of his personal monitoring choice, the JBL LSR32 monitors, with possibly the lowest distortion available in studio monitors today, plus the addition of a Bag End Infrasub 18, 400 watt powered subwoofer, extending our monitoring range down to 8 hertz. Coupled with our exclusive SigTech TimefieldTM AEC1020 Acoustic Environment Correction System, no monitoring system anywhere offers greater accuracy, and very few can even approach it. Our dual Xeon processor workstation with two terabytes of raid storage provides fast noise reduction and implementation of filters and transforms. Client work is recorded to their own dedicated hard drives in removable mobile docks. Each hard drive can support thousands of recorded tracks. 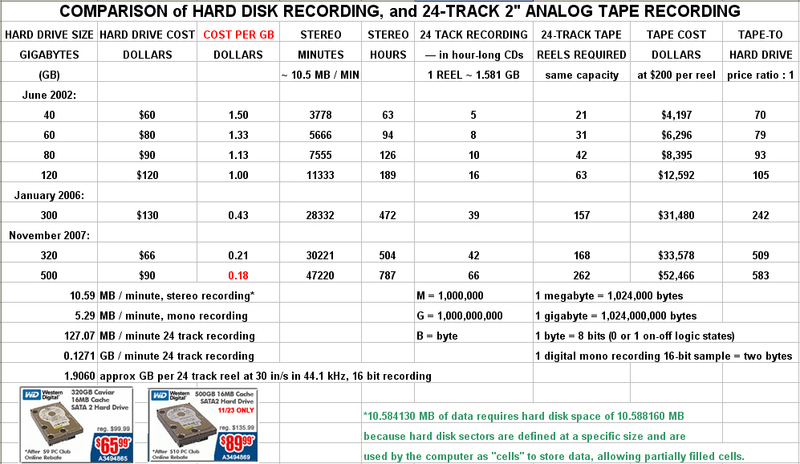 At 5 Mb per minute per track, a drive costing about a quarter the cost of a 15-minute 2" reel of tape, can record as much as 168 reels of tape, or another way of looking at it, more than $33,000 worth of tape. Our microphone collection spans decades and includes items not found in many studios, such as the AKG 426 stereo mike used by the majority of the world's top classical music recordists. We have several 60's era AKG C451 condensers, five matched Shure SM81 and five matched Shure SM98 mikes, two Shure VP88 M-S stereo mikes, a Sony ECM999 M-S stereo mike, and an assortment of the usual popular dynamic and condenser stage mikes. 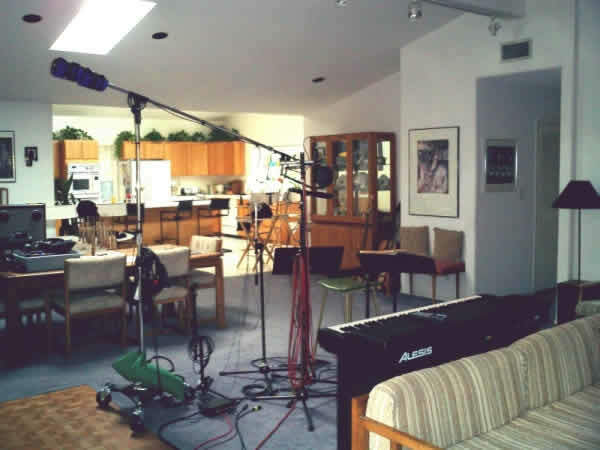 Our studio room is a very comfortable living room-kitchen with cathedral ceilings and 1000 square feet of acoustic space ranging from a neutral dead end to a neutral live end providing virtually any type of acoustic ambiance. We can accommodate a big band or a small choir or chamber orchestra, and have recorded everything from guitar/vocal soloists to the drums and traps of Paramount's staff percussionist, delivered in two large cartage cases, or an entire school bus carrying the St. Monica High 40-member choir! Our CD mastering will PRESERVE AND PROMOTE YOUR ARTISTIC INTENTIONS, rather than squashing the life and dynamics out of your music, like some other mastering services. Additionally, all recording originating at our facility is "mastered" and prepared for CD as part of our normal mixing process, at no extra charge. We don't believe that your project should NEED more expensive work done to it after you leave here. 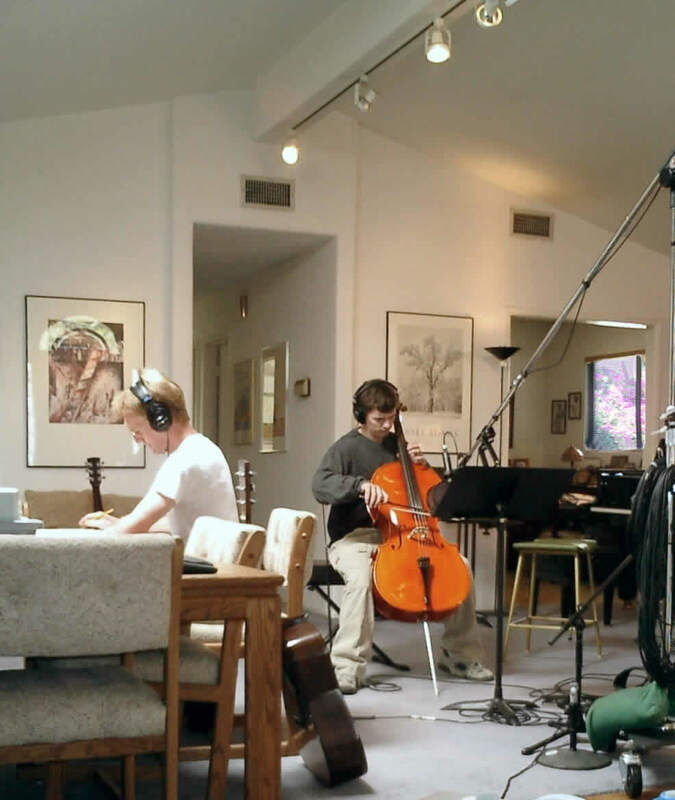 Our expertise in acoustic recording includes teaching courses in recording, live sound, acoustics, physics, and audio electronics for UCLA’s Recording Certificate program since 1994. Our first LP master, recently found in our archives, is dated April, 1961. For over 40 years, we have been producing satisfying recordings for our clients and leading the way in “back to basics” record production. Let us show you how this unique approach pays off with the superb sonics and honesty of presentation that is a lost art today. 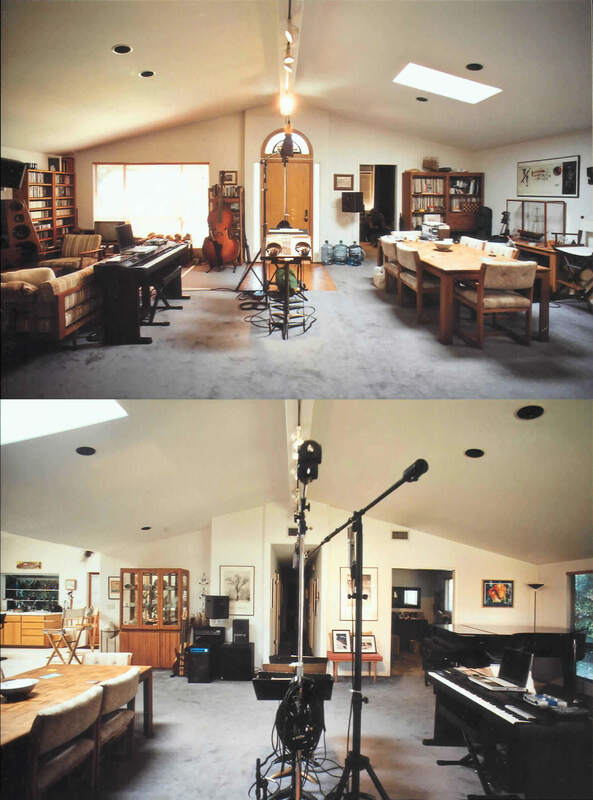 with 600 ft² - 0.29 second Reverb Time recording space. 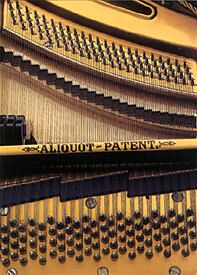 7' 6" (229 cm), 800+ pound (363+ kg) Blüthner ("Let It Be") piano built in 1972 for Roger Kellaway, was rebuilt by Kasimoff in 2003 and has all new strings and felt. 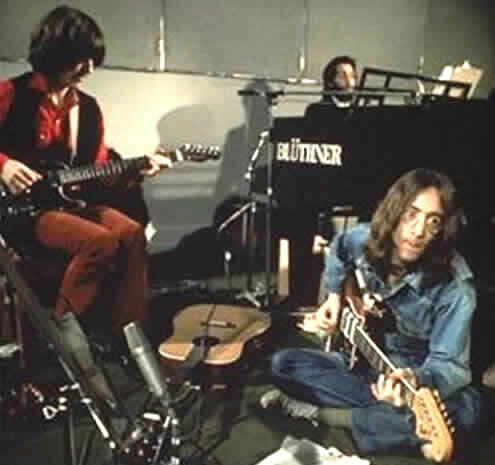 Blüthner pianos are featured on recordings by Linda Ronstadt, Joni Mitchell, John Denver, many albums made at legendary A&M studios, and by Henry Mancini at NBC. 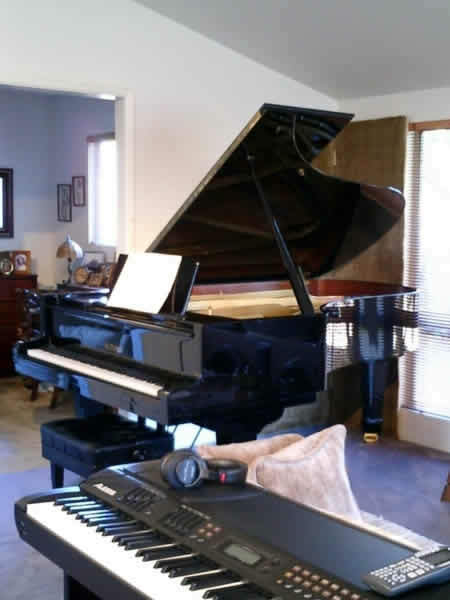 Hear the SOUND of the Blüthner piano recorded here in the studio! Click on the piano photo to listen. DRUMS RECORDED WITH OUR STEREO-MONO COMPATIBLE MIKING TECHNIQUE, SOUND LIKE DRUMS! 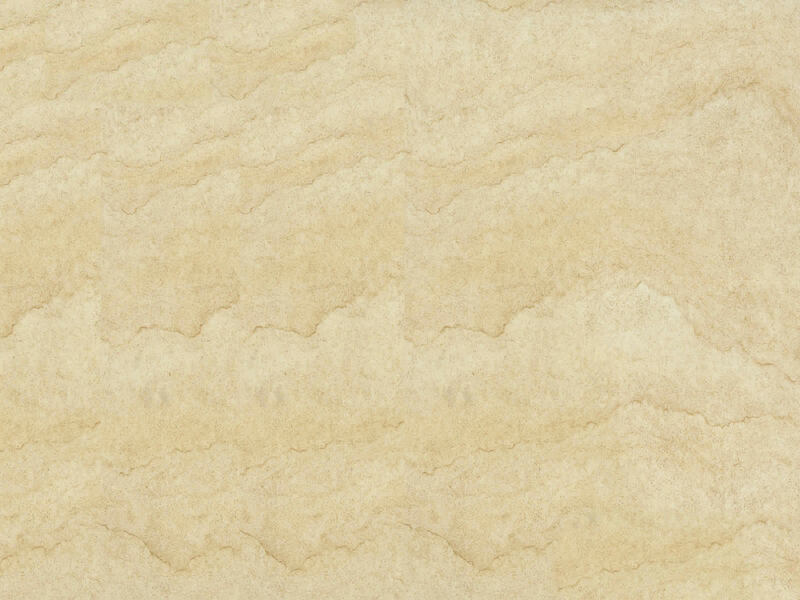 - be sure to crank the rock clip to enjoy its full DYNAMIC range! We record your concert or event at your site. music project needs and scheduling.